Secretary of State Mike Pompeo on Sunday defended the White House’s move last week to reimpose sanctions against Iran amid criticism from some conservatives that the action does not go far enough to cripple the country’s economy. 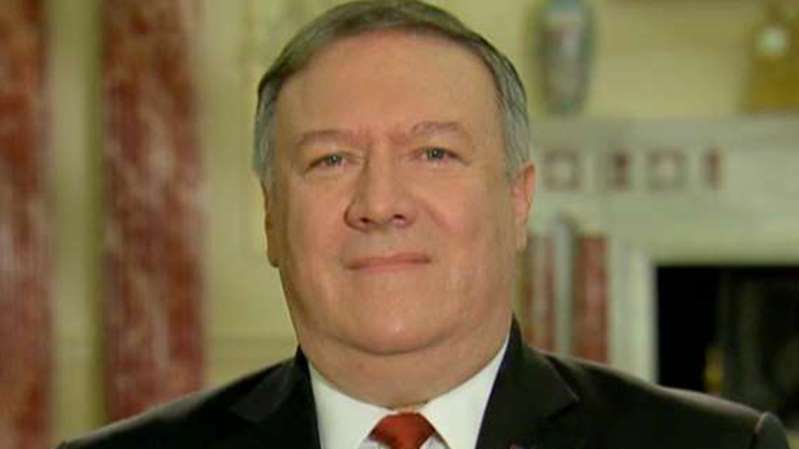 "The sanctions that will be reimposed tomorrow are the toughest sanctions ever put in place on the Islamic Republic of Iran," Pompeo said during an appearance on “Fox News Sunday." "They're aimed at a single purpose -- denying the world's largest state sponsor of terror the capacity to do things like the things they've done in the past few weeks." While Trump removed the United States from the 2015 Iran nuclear deal earlier this year and sanctions are set to be imposed Monday, some critics are upset that some countries received waivers from the sanctions to continue importing Iranian oil. Treasury Secretary Steve Mnuchin defended the decision to allow some Iranian banks to remain connected to SWIFT, saying that the Belgium-based firm had been warned that it will face penalties if sanctioned institutions are permitted to use it. And, he said that U.S. regulators would be watching closely Iranian transactions that use SWIFT to ensure any of those that run afoul of U.S. sanctions would be punished.